When auto assigning an ID number it can be useful to begin from a seed value. Starting at 10000 ensures a uniform width for the record ID since the number of characters will always remain the same. 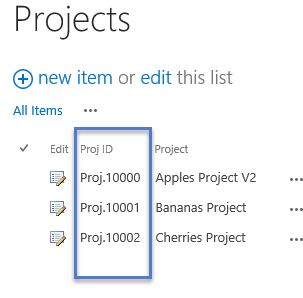 Create a standard SharePoint text field to store the ID value Proj ID. By checking the Edit option, any records that were previously created will also be updated with the next available ID. 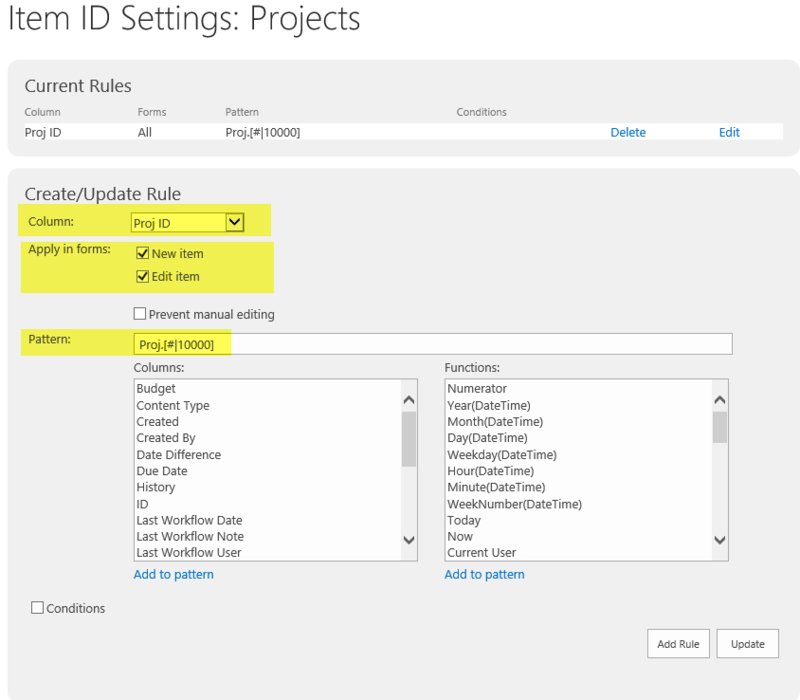 The Item ID settings allow for the creation of dynamic patterns which can allow for the creation of a variety of IDs. Our example allows us to start from a seed value.